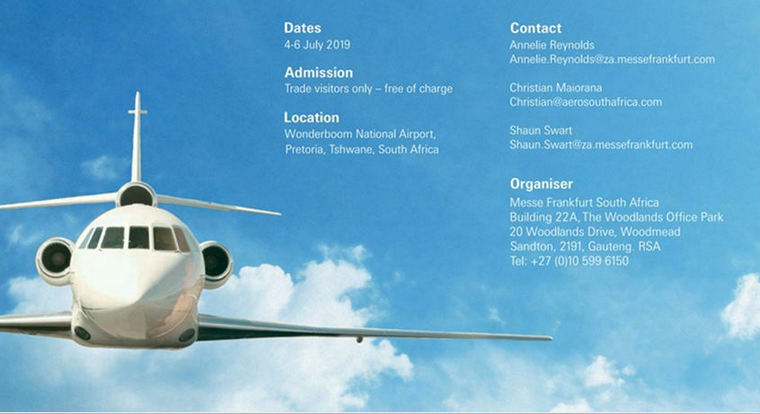 Dear Aero Club Member, herewith an invitation to attend AERO South Africa taking place at Wonderboom National Airport on 4 - 6 July 2019. 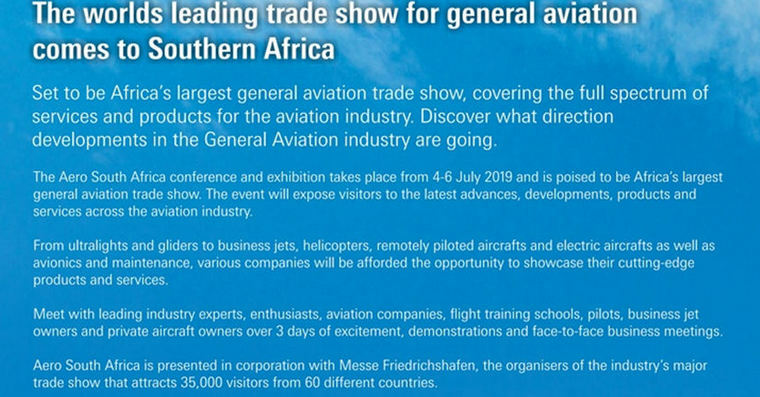 AERO South Africa is a general aviation, business to business expo modelled on Europe's biggest general aviation show, AERO Friedrichshafen. 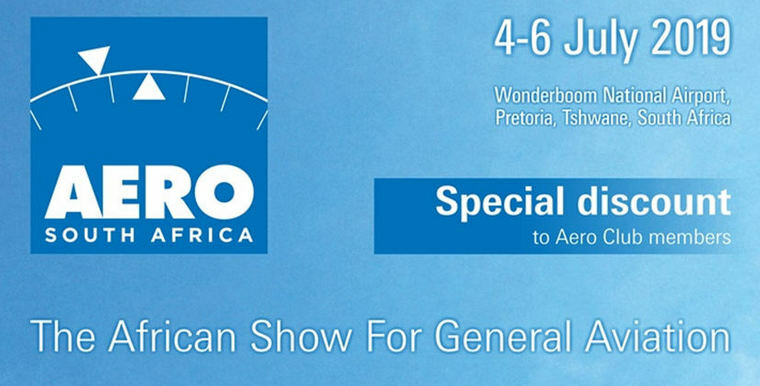 With the specific focus areas of AERO South Africa, it makes perfect sense for Aero Club Members to participate. Members receive a special discount on space booked. 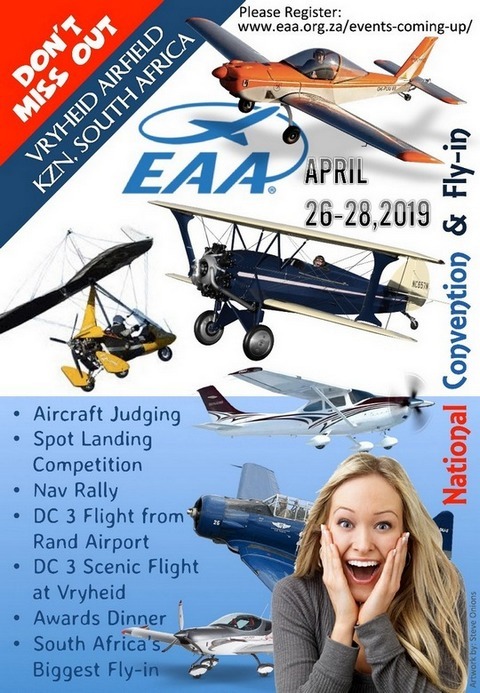 The Aero Club, representing a wide cross section of Recreational Aviation, has been endorsed by AERO South Africa. 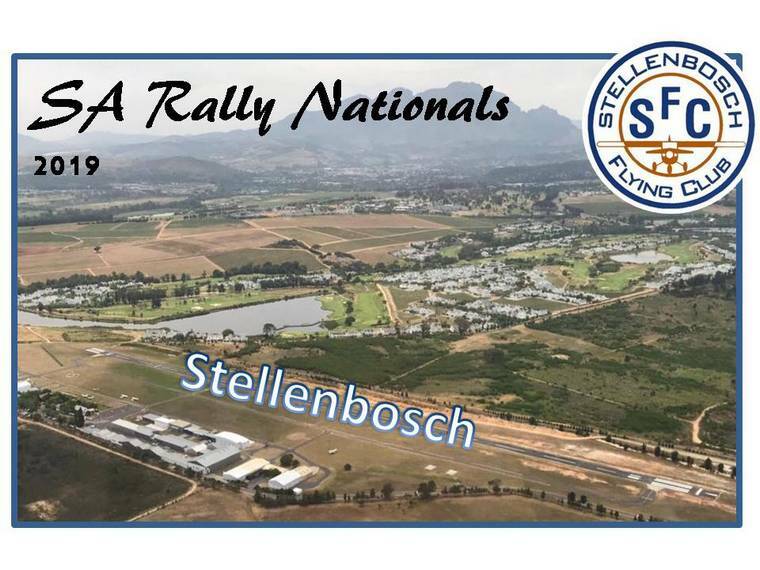 To take part or visit, contact details for AERO South Africa or the Aero Club is given below. 6: Coves Fly in Carnival: All aircraft types are welcomed to visit for the day as long as they abide by the Coves Aero Club rules, approach procedures and the indemnity requirements laid out on www.thecoves.co.za, or available from aviation@thecoves.co.za. All arriving aircraft must complete on their arrival indemnity forms by no later than the 5th of April to gain access to our private airfield. Please email all forms confirming your understanding and possession of the rules of the day to The Coves Aero club chairman. JP Fourie, at aviationdirector@thecoves.co.za. 1: Military Festival Voortrekker Monument. 11-12: NAC Bush Weekend at Letsatsi Game Reserve. 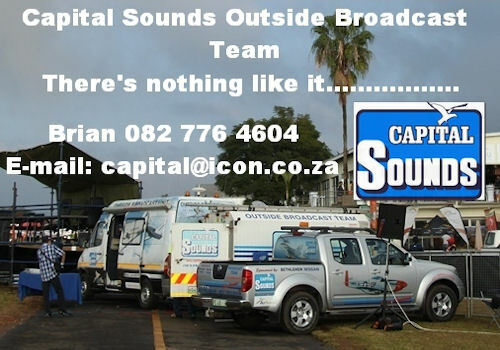 Deon 082 458 5719, Deneys 082 891 4354 or JP 083 625 4804. 26: Springs Airfield MU Fly in. 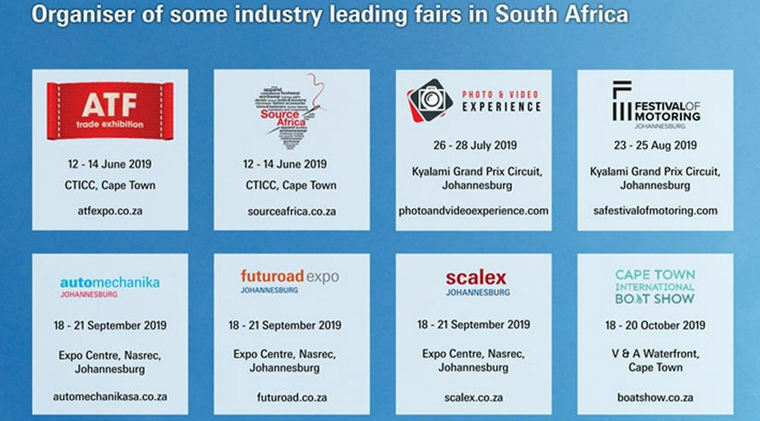 Contact Fanie 083 789 5507 or Gerhard 082 771 3329. Pilots who park in the RV-4 Anniversary Parking will also have the option of pitching tents to camp in an area near the home-built camping pavilion, so you can still be right there with all your RV friends while your RV-4 is on display! We're working on some additional celebration details here at Van's as well. It looks like we may be able to put on a special forum presentation, with a "Very Special Speaker", who'll cover the history and design of the RV-4 from a first-person, in-the-know perspective and its significant role in getting the kit aircraft business off the ground. 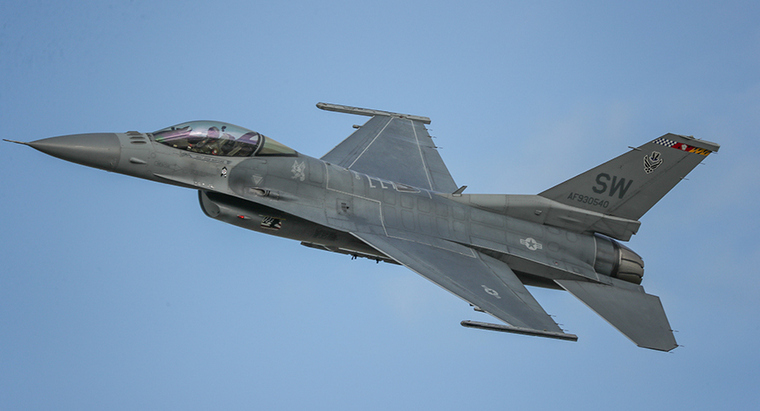 EAA's activities are being planned in conjunction with the U.S. Air Force Air Combat Command, EAA Warbirds of America, and individual aircraft owners. The activities will take place throughout the week, with some special programs designated for particular days during AirVenture's seven-day run. Aircraft from the USAF Air Combat Command, including fighters such as the F-15, F-16, F-22, and F-35, as well as the A-10 attack aircraft; The first Oshkosh appearance of the unique XP-82 Twin Mustang, which has been under restoration in Georgia; A salute to World War II ace Bud Anderson, with every flying P-51 in the U.S. invited to Oshkosh to participate; A gathering of U.S. Navy fighter aircraft, including F4U Corsairs, the gullwing fighters that were a key asset in the Pacific Theater; Observance of the 75th anniversary of D-Day, with aircraft that participated in the actual invasion on June 6, 1944, as well as C-47 airplanes that will have just returned from a historic anniversary flight to France; U.S. Air Force Heritage Flights and U.S. Navy Legacy Flights involving historic and modern aircraft in formation, highlighting the legacy and evolution of military aircraft. "Oshkosh is known for being a collection of aircraft and people that is unmatched anywhere in the world, and that will again be the case in 2019," said Rick Larsen, EAA's vice president of communities and member programs, who coordinates AirVenture features and attractions. "We are grateful to the U.S. Air Force and the Air Combat Command for their assistance and to the EAA Warbirds of America to make possible these kinds of activities, for which AirVenture is known and eagerly anticipated each year." "We have completely re-architected the propulsion system and made some significant changes to the air vehicle design," says CEO Bob LaBelle. "We've moved the horizontal tail up, and it is now a T-tail. There was some obstruction of the airflow across the back tail. We also added winglets to increase the wing area and give it a bit better cruise performance." The TriFan 600 will have a 1,000-shp turboshaft engine driving three generators that power dual 250-kW motors on each of two 6-ft.-dia. wing-mounted ducted, pivoting fans and a counter-rotating, 5-ft.-dia. fan mounted in the aft fuselage. The two larger fans are mounted on the wing leading edges and tilt between vertical and forward flight. The smaller lift-only fan, which helps counter adverse yaw via a set of vanes, is shut down and covered over with doors in forward flight. "There are two electric motors per fan and a battery pack generating 250 kW in vertical-takeoff mode. Once you are in up-and-away flight, the liquid-cooled batteries recharge," says LaBelle, who adds that the subscale prototype is now configured with trailing-edge flaps. "We may or may not keep those. We want to see if it makes a difference in keeping the airflow attached to the wings during transition." 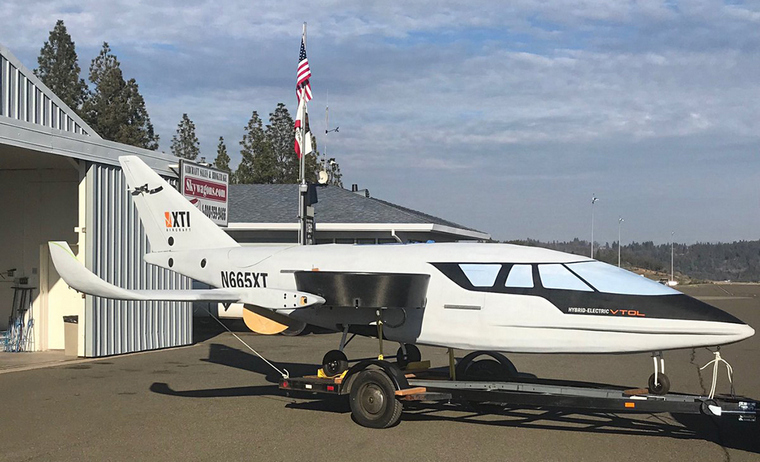 The Colorado-based startup expects to conduct a critical design review and assembly of the full-scale test aircraft over the next year, with a further two test airframes joining the program in the following year. The company is targeting certification and initial production starting around 2023. XTI has taken reservations for 76 aircraft and envisages a market for around 2,000 TriFans for a variety of missions ranging from business and commuter roles to emergency medical services and possibly military utility. The milestone aircraft delivered is the Phenom 300E, the newest edition of the most popular light jet. Mr. Freeman Pickett III received his aircraft at Embraer's Customer Centre in Melbourne, Florida and said: "The Phenom 100 served us very well for our trips throughout the Midwest, but as we began to fly more, with more passengers and to destinations farther away, we began to use a Phenom 300 to which we had access. The Phenom 300E has the speed, range and capabilities that we now need, including single-pilot operation-a very important feature for us-with all the cabin space and comfort for everybody onboard, not to mention all the baggage space. The cabin technology is unrivalled and elegant, and the connectivity is quite convenient." The Phenom 300E carries the "E" for "Enhanced" and refers to its inheritance of the Embraer DNA Design, first introduced in its larger siblings, the Legacy 450 and Legacy 500 medium cabin jets. The new interior design rendered an even more spacious cabin with more personalization options and greater ease of maintainability as well as unmatched comfort and personalization in the light jet class. Weststar Aviation Services, a leading regional offshore helicopter transportation services provider, and Leonardo signed a contract - valued at around 50 million euros - for three new-generation AW169 and two AW139 helicopters for offshore operations in West Africa and the Middle East. The contract signing ceremony was held at the Langkawi International Maritime and Aerospace Exhibition (LIMA) in the presence of the Prime Minister of Malaysia, YAB Tun Dr. Mahathir Mohamad. 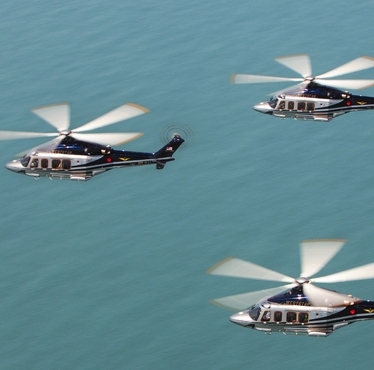 The three AW169s helicopters will be for Weststar's ExxonMobil & Noble contract in Equatorial Guinea while the two AW139s are for the Al-Khafji Joint Operations contract in Saudi Arabia, which is a joint venture between Kuwait Gulf Oil Company (KGOC) and Aramco Gulf Operations. The AW139 and AW169 are part of Leonardo's Family of new generation helicopters that also includes the AW189. These models are ideal for passenger transport, EMS and SAR missions. Leonardo has a long-standing presence in Malaysia with a large fleet of helicopters - both commercial and military - defence, security and airport systems. The unveiling and ribbon cutting ceremony took place during the 6th Annual Mayor's Breakfast held March 6th on the SUN 'n FUN campus. The Mayor's Breakfast was attended by over 400 members of the business community interested in this year's updates on SUN 'n FUN and its Aerospace Centre for Excellence initiatives as well as the keynote speaker from Draken International which is headquartered on the Lakeland Linder International Airport. Dave McQueary, who works in the Technology Department at SUN 'n FUN, has served as the caretaker of the aircraft since it was officially donated in December 2017. In getting the aircraft ready for exhibition, McQueary noted that the project was extremely time consuming, involving several intricate steps to restore the aircraft to its original condition. "We spent almost a year trying to find someone to remove the explosive charges in the ejection seat. Once we took care of that safety issue, we were lucky enough to have the maker of John's 360 Coatings donate the paint," he said. "We also were fortunate to have Fosters Aircraft Refinishing strip and paint the MiG." McQueary said the aircraft was originally painted in the traditional Slovakian colours of green and dark brown camo, but it was decided to restore it to its last assigned paint scheme. "It was one of the few Slovak aircraft that were repainted in the desert camo you see it in today, so we assume the aircraft was temporarily assigned to somewhere in North Africa." The original home of the aircraft has been traced to Silac Air Force Base in central Slovakia where it was assigned to the 4th Technical Squadron. It served on Quick Reaction Alert status the entire time it was there and was ready to take off within eight minutes when needed day or night. This aircraft is one of the 10,000 MiG-21's produced by the Mikoyan-Gurevich Design Bureau in the former USSR and holds the record of being the most produced combat aircraft since the Korean War because of its simple design and technology. In its heyday during the 60's and 70's, the MiG-21 served in over 50 countries and some estimate it is still an active aircraft in as many as 20 countries today. McQueary said the MiG-21 will be displayed alongside the Grumman F14 Tomcat on the SUN 'n FUN Expo Campus, historically appropriate since these two aircraft were direct adversaries during the Cold War. The electric motor, called the magni250, can instantly produce a power level of 350 horsepower, comparable to the power put out by a standard Cessna 350. The magni250 also can run at a much more efficient 1900 rpm, just at 70% of the Cessna 350, to increase the efficiency of the engine and prolonging its battery life to a range about 100 miles. magniX is working on increasing this range to at least 1000 miles in the next few years. magniX also has a more powerful model of the magni250 called the magni500, capable of putting out 750 hp. The company intends to start with fixed-wing aircraft and then move to eVTOLs and urban air mobility, as well as other facets of aviation. Factoring in short rides requirements, zero emissions, and drop in flight costs, the magniX electric motor design could easily be applied by companies like Airbus or BLADE, which gives further incentive for urban communities to back such plans for the future. Roei Ganzarski , magniX CEO intends for magniX to cause ripple effects in the aerospace industry. The magni250 and magni500 could be the path to low-cost, zero-emission flights, taking advantage of thousands of smaller regional airports and potentially a 70-80% reduction in flight costs. The magni series could also be a perfect fit for the budding urban air mobility market, where the amount of emissions and fuel costs are a huge concern for cities today. Pakistan, Lahore: A PIA Pakistan International Airlines Boeing 777-300, on a flight from Jeddah (Saudi Arabia) to Lahore (Pakistan), was on approach to Lahore's runway 36R when a bird impacted and penetrated the leading edge of the left hand wing. The aircraft landed safely. New Zeeland, Kaimanawa Ranges: A Diamond DA42 Twin Star operated by Ardmore Flying School Ltd enroute from Palmerston North to Taupo with two qualified flight instructors onboard crashed under unknown circumstances near the Kaimanawa Ranges 24 km east of Turangi on the North Island. Both pilots were fatally injured. Chile, Puerto Montt: A LATAM Chile Airbus A321-200 on a flight from Puerto Montt to Balmaceda with 156 passengers and 8 crew twice aborted its approach to Balmaceda was held at Balmaceda for about one hour between the approaches when the crew decided to return to Puerto Montt. The flight was about 60nm south of Puerto Montt when the crew had to shut an engine down. The aircraft continued to Puerto Montt for a safe landing about 2:25 hours after departure from Puerto Montt. UK, Edinburgh: An aircraft operated by German leasing company WDL Aviation on behalf of the British Airways subsidiary airline BA CityFlyer landed by mistake from London to Edinburgh instead of Dusseldorf in Germany. Passengers only found out about the mishap when the pilot said the plane was coming in to land in Edinburgh, which is around 500 miles (800 kilometres) from Dusseldorf. After the crew realised the mistake, the plane was refuelled and flown to Dusseldorf, landing in Germany with a delay of more than three and a half hours. The incorrect flight plan was filed at WDL Aviation's offices in Germany. Hong Kong: Hong Kong's aviation authority is investigating why Cathay Pacific Airways allowed a pilot with measles to fly seven times in four days, while the city grapples with a growing outbreak of the disease that has prompted health officials to step up vaccinations at the airport. The airline has so far resisted mounting pressure to provide a full explanation, after the 41-year-old pilot was taken to Princess Margaret Hospital in Kwai Chung to be treated for measles. It is against aviation law for anyone to be part of a flight crew "if they know or reasonably suspect their physical or mental condition renders them temporarily or permanently unfit to perform such functions". Iran, Qeshm: A Taban Air McDonnell Douglas MD-88, on a flight from Isfahan to Qeshm (Iran) with 152 people on board, was descending towards Qeshm when the left hand engine (JT8D) failed prompting the crew to divert to Bandar Abbas for a safe landing. USA, Orlando: A Southwest Airlines Boeing 737-8 MAX on a flight from Orlando to Victorville with 2 crew on board, was in the initial climb out when the crew reported they had just lost their right hand engine. They stopped the climb and returned to Orlando for a safe landing. The aircraft was scheduled to fly to Victorville for storage until the Boeing 737 MAX aircraft would be permitted to carry passengers again. RAF Spitfires based in the Far East saw action during Malayan Emergency. When Malayan Communist Party (MCP) soldiers killed three British rubber-planters on 16 June 1948 at Sungai Siput, Perak, Great Britain declared a state of emergency. On 6 July, 81 Squadron Spitfire Mk XVIIIs attacked an MCP camp with rockets. The most intense attacks on enemy targets were made in late 1949; on 21 October, RAF Spitfires and Seafires from 800 RNAS flew 62 sorties. The 16 Spitfires from the two squadrons based in Singapore flew some 1,800 missions against Communist positions. 81 Squadron also featured prominently in the news in April 1954, when on the 1st of the month Spitfire PR19, PS888, took off from Seletar to conduct the last ever operational sortie by an RAF Spitfire, flying a PR mission from its base at Seletar to an area of jungle in Johore thought to contain Communist guerrilla hideouts. After the flight the aircraft's ground crew painted the inscription "The Last!" on the left engine cowling. PS890 was presented to the Planes of Fame Museum, Chino California, in the late 50's. She eventually flew about two years ago, albeit with contra-rotating props and clipped wings.